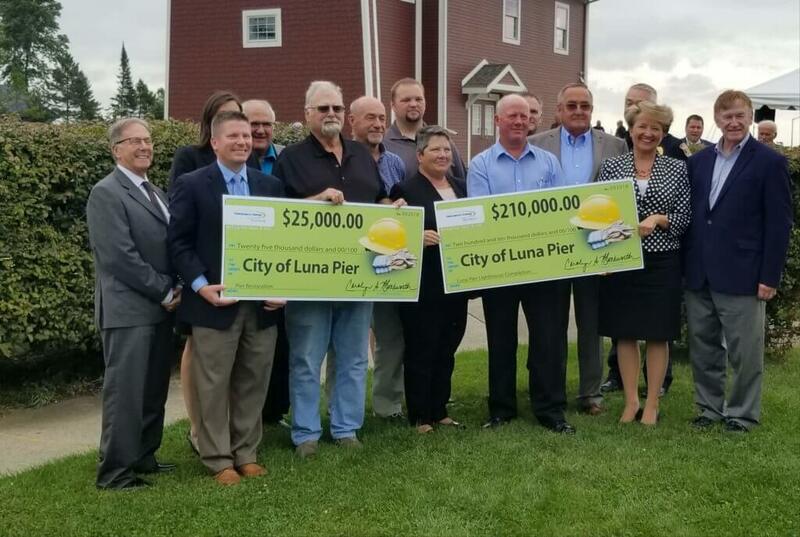 Congratulations to the City of Luna Pier! 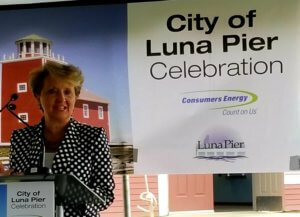 Today, the Monroe County BDC attended an event to celebrate the revitalization efforts to the pier and scheduled renovations to the Luna Pier Lighthouse on Lake Erie. 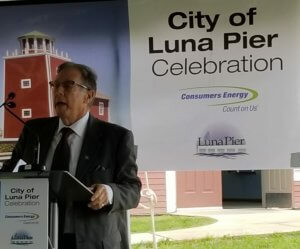 The lighthouse renovations will provide residents and visitors with a gathering space and help protect the natural beauty of the lakeshore. 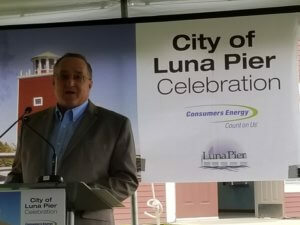 The Consumers Energy Foundation contributed to the preservation effort with a $210,000 grant. 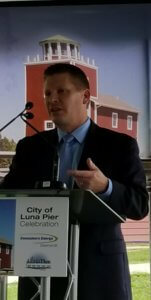 A $25,000 grant was made last year to support work on the pier located by the lighthouse. 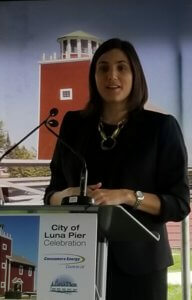 Copyright © 2019 Monroe County BDC. All Rights Reserved.